The Liberal Democrat leader has backed the creation of lifelong learning accounts in his party conference speech today. 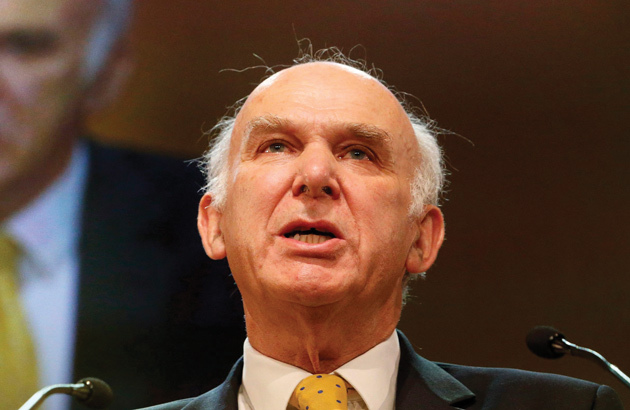 Sir Vince Cable, who published a report with the National Union of Students on how to improve learner experience in post-16 education, explained to delegates in Bournemouth how he would like to help more people retrain or improve their skills-set in later life. “One idea I want to develop with you – with the party – is finding a way to support all young people in future with an endowment or learning account, which they can use at any stage in life,” said the former business secretary, in his final day speech. He explained that this could involve “helping to finance further or higher education, either at the post-18 stage or later in life”. “It is a fundamentally liberal idea, handing control to the individual, and I want to explore how it can be sustainably financed through fair taxation of wealth,” he continued. Dr Cable also stressed that he wanted the party to be widely recognised as the “champions of lifelong learning”. Former top skills civil servant Sue Pember, now director of policy at adult learning provider membership body Holex, welcomed Dr Cable’s focus on improving funding for learning in later life. She countered, however, that lifelong learning accounts are only a “great idea”, if “they are matched with extra resource”. The issue of how best to upskill older people returned to the spotlight recently, in reaction against what has been perceived as overwhelming recent focus on 16-to-19 learning, in particular through apprenticeships. The then-skills minister Robert Halfon told FE Week in January that lifelong learning was firmly back on the government’s agenda. An industrial strategy green paper published in the same month further committed to exploring “ambitious new approaches to encouraging lifelong learning”. FE Week launched its #SaveOurAdultEducation in February, calling on the government to consult on a properly coordinated adult education strategy. Matthew Taylor, the chief executive of the Royal Society of Arts, who was asked by the prime minister to “develop proposals to improve the lives of this country’s citizens” through the workplace, went further and backed a return to learning accounts. His July report warned that current funding rules meant that someone who has worked for much of their working life, but who now needs to retrain, was unlikely to get much help or support. “The government should explore a new approach to learning accounts, perhaps with an initial focus on those with a long-working record, but who need to retrain and those in receipt of universal credit,” he wrote. The Skills Commission meanwhile recommended in April that the government should “look into the feasibility of learning accounts and their effectiveness in directing workers towards in-demand roles”. Labour’s shadow skills minister Gordon Marsden told FE Week that he backed “new credit accumulation structures and national insurance-style contributory learning accounts” as far back as 2014. He expanded on the idea in an article for One Nation Fizz, which was published that year by centre-left thinkers in response to then-Labour leader Ed Miliband’s call for new policy ideas. “The last Labour government’s innovative system of individual learning accounts stalled due to problems with implementation,” he wrote. The individual learning accounts scheme was unveiled in the 1997 Labour Party manifesto, as a means of supporting adult education with a system of tax incentives. But the policy was scrapped in 2001 after abuse by unscrupulous providers led to a reported £67 million fraud. The National Audit Office blamed this in part on poor planning and risk management by the government.